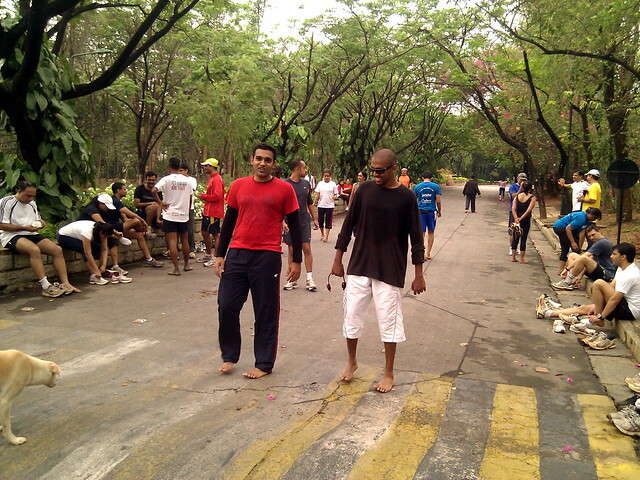 This Sunday, Runner’s High arranged for the long run at the IIM Bangalore campus. Seems students are off at this time of the year, and so that gave a crowd-free running track. The weather was cloudy, and the tree covered roads looked really inviting. We managed to reach the spot 45 mins before the run because of over-estimating the travel time. I have always felt that reaching a running spot before time always helps. It lets you relax and get comfortable with the surroundings. The run itself was a slight bit challenging. The campus roads had such gradual slopes, that if you are not careful, you will be doing a tempo uphill. Dipika and I had decided to stay with 2:1 run/walk ratio this month, so we tried giving the runs as much speed as we could afford. But the slopes got me huffing and puffing. By the end of the first couple of kilometers itself, I could feel myself getting tired. Which is a real bad thing at the beginning of the run. 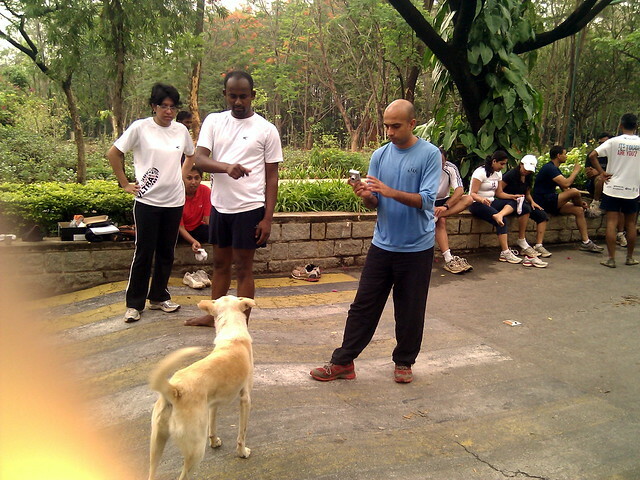 Shrihari was running with us this run, and stayed with us till 6k before taking a break due to stitches. As you can make out from the stats above, my HRM has started malfunctioning. I typically lose about 100 cals per km and the stats show that I probably need to change the battery in the Garmin HRM strap. It has been a few months short of two years since I last put in a new battery there, so I think this is about the lifetime of a battery. Some photos at the end of the run. 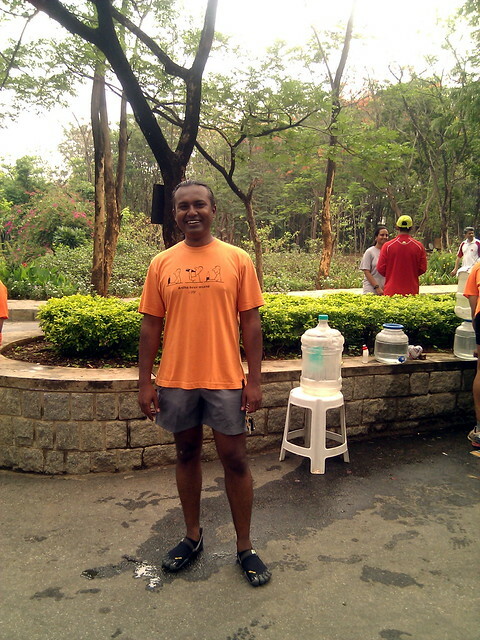 Santhosh, the head honcho of Runner High and an uber runner. Loves dogs! 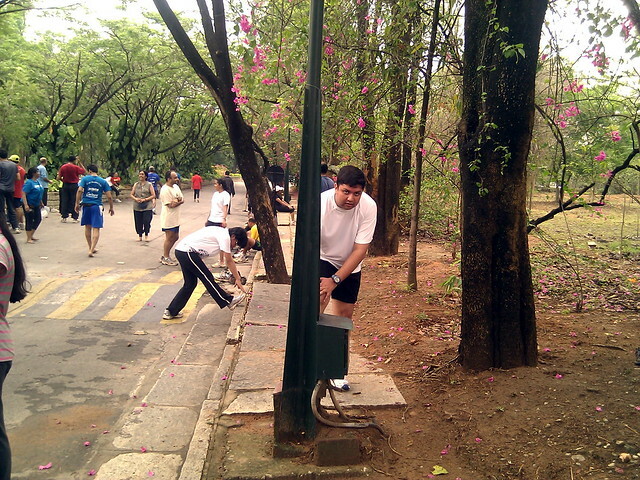 Shrihari doing a post-run stretch. Dipika at the end of the run. Me, trying to do a hamstring stretch. 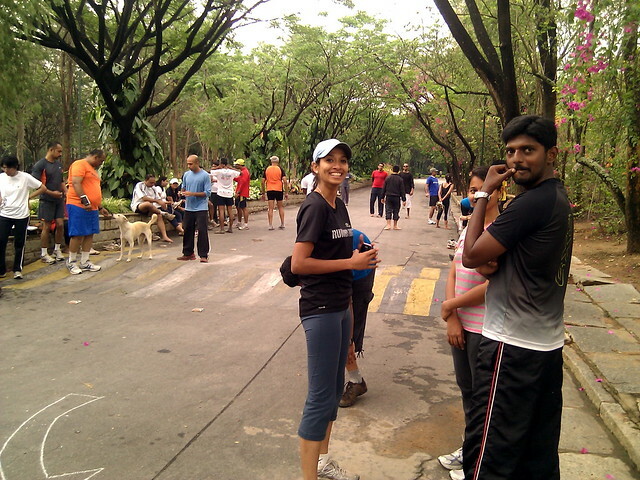 Preeti, the effervescent Runners High physio, who helps keep us injury free. Water post set up by the RH guys, along with the biscuits and bananas. 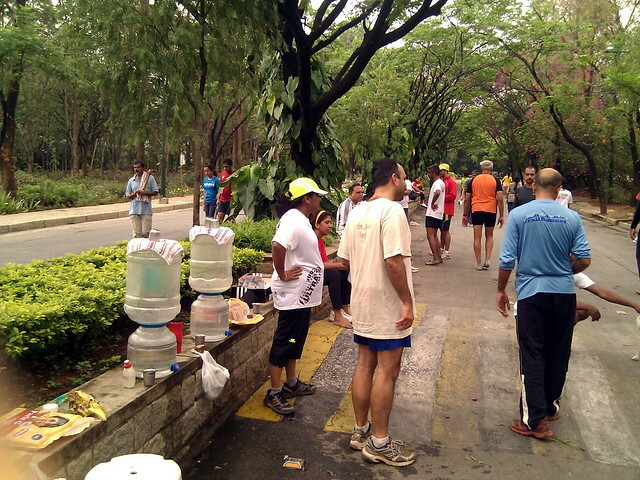 People resting after the run and some doing foot drills and stretches.